Nikon and Canon DSLR Bundles are our specialty. FLASH READY INDICATOR. Protective Case. A TED'S Experience! UPC : 635322928062. MPN: DF864. User Manual and 1Year Warranty. Other Electronics. This is a quality straight moulded cable. The cable has a PC female connector at one end and a PC male connector at the other. Reflector is shown for illustration only. The Sunpak MX-1D Dedicated Module will allow Sunpak flashes. that make use of modules to attach to Minolta 35mm manual. This module supports TTL auto-zoom,as well as. Canon 270EX. Canon 270EX II. Genuine Sto-fen Omni-Bounce Diffuser OM-EV. GENUINE & OFFICIALSto-fen Omni-Bounce flash diffuser. Used by pros worldwide. This diffuser is for use with the following flashguns. "Impact Safety Cable (32") - Holds up to 50 LBS"
Made of braided stainless steel, this 32" x 3mmImpact Safety Cable provides extra security for lights mounted on overhead pipes, dropped ceilings and grids. Corporate accounts and large quantity orders can be accommodated. Heavy duty coiled cable with AC and standard PC male flash connections. Rest of World. Right angle plugs. Heavy Duty Cable. Rest of World. The 6.0"" beauty dish spreads the flash output to produce softer shadows and a more uniform spread of light, while the different colored reflectors can be swapped out to change the color temperature of the light produced. This is high quality third party stand will accommodate just about any standard hot shoe flash (except Sony/Minolta). Hot Shoe Flash Bracket Holder Mini Stand for Canon 580EX Nikon SB-900 SB-800 UK. 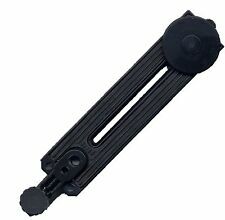 Flash Mount/Holder/Br acket/Stand For Nikon. The MagMod is the ideal accessory if you’re looking to diffuse light, reduce power, or add creative colour effects to your images. Gels not included. Courtesy of the MagGrip’s two extra-strong magnets, it fits on virtually any flash, and will remain firmly in place. Alpha DSLR-A100 A200 A300 A350 A700 A900 etc. Maxuum / Dynax / Alpha 7D, 5D, A200, A2, A1, Z6, Z5, Z3. Minolta FS-1100 hot shoe adapter. It works with the most recent Sony Alpha. Sony Alpha hot shoe. Colors: Available in Black. Neon Pink, Neon Green, Neon Blue, and Orange. 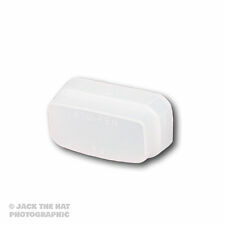 Application: To soften shadows and evenly illuminate a scene with a compact light modifier. 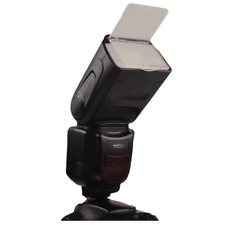 For use on an individual flash or to softly illuminate the background in a multiple flash set up. Rosco Beauty Lighting Kit (30 x 30cm) 12x12” Gels Filters NEW. Condition is New. 1 x Mitros TTL Flash. Kit includes 1 x190cm Light Stand. 1 x Varos II Umbrella Holder. This adapter can be used to connect most electronic flash units via a standard hot shoe or PC sync cord socket. Works with most flash guns in auto mode or manual mode (TTL mode is not supported). High quality Male to Female extension cable. 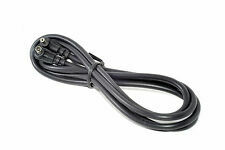 Heavy duty cable with right-angle plug and socket (PC). Rest of World. Narrow beam of light with quick falloff. We kindly ask you to be patient. Grids on a budget. Make your own grids we'll provide the material! No more gluing straws for you! Lot of 144 SYLVANIA Kenrad Blue Dot AG1 FLASH BULBS 91293 NEW! Mint! FABULOUS! 91293 SYLVANIA Kenrad or Westinghouse Blue Dot AG1 FLASHBULBS Lot of 144 NEW! Sylvania, Kenrad, or Westinghouse. I have Sylvania, Kenrad, Westinghouse, and GE available. AG1 FLASHBULBS. There are 12 per box for a total of 144 bulbs. Canon Off-Camera Shoe Cord 2 - Mint in original packaging. The OM-B works on both the Vivitar 283 and 285 and the following flashes:Achiever DZ260. Vivitar 3700. Vivitar 4600 Std. Vivitar 5600 Std. Vivitar 5600 Zoom. STO-FEN Omni Bounce. You get not only much greater coverage but the shadows are filled very nicely. This professional quality flash sync cable is an essential part of any studio photographer’s kit if they use professional or semi professional flash heads that have a 3.5mm sync socket built into them. Sunpak DH-1 Difussion head. for 622 FLASH. We are an Authorized Nikon Dealer listed on Nikon USA's website. SYLVANIA M3 FLASHBULBS, 7 BLUE DOT, 4,CLEAR, UNUSED, IN BOXES, FREE SHIPPING!!!! You are purchasing a total of eleven Sylvania M3 Flashbulbs, 7 blue dot, and 4 clear, in boxes. The coiled cable has a maximum operational length of 1.8m and the flash module has a 1/4 tripod bush on the base. FAMILY RUN SINCE 1954. 1 Year Movo Warranty. Movo Warranty Policy. If the product has been discontinued, the warranty provider reserves the right to replace it with a model of equivalent quality and function. Movo Photo is your source for high-quality audio and video gear. Use buy it now, enter quantity 1 and get 2 sockets. Canon: 580EX, 580EX II, 550Ex, 540EZ, 430EZ, 420EZ, 430EX, 430EX II, 420EX, 380EX, 520EX ,300TL, 580EX II, 430EX II. Eliminates harsh shadows and produces a more natural result. Folds flat for easy storage. Rest of World United Kingdom. (this unit has no PC outlets). Up for sale is 1 insulated hot shoe adapter. Built-in (non-removable) 11" PC Cord. The Kaiser 1303 consists of a hot shoe adapter with tripod thread and a pair of removable synch cords, with 3.5 mm and 2.5 mm jack plugs. High quality adapter set for connecting flash guns to receivers of RC remote releases, e.g. Pocket Wizard, Skyport, Kaiser TwinLink etc. Application: To soften harsh flash with minimal light loss. 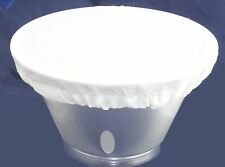 Can be used with or without slaves where low ceilings are not available, or where more direct but softer fill light is desired. Thousands of photographers have relied on their pocket bouncers for over 20 years! Canon 430EXII. Canon 430EX. Genuine GOLD Sto-fen Omni-Bounce Diffuser (OC-EWGL). 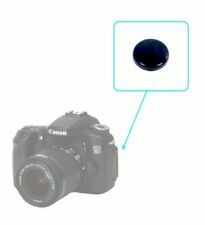 GENUINE & OFFICIALSto-fen Omni-Bounce flash diffuser. Used by pros worldwide. This diffuser is for use with the following flashguns. The MagGel 2 consists of a MagGel Gel slot, which can hold up to three gels simultaneously. The MagGel 2 Slot is also fitted with two small but very powerful rare-earth magnets that allow you to quickly and easily change your modifiers with no fear of them falling off. Wein Household Plug SSL Ultra Slave. We are an authorized Wein dealer; includes a 1 year warranty. Non-polarized sync connections work with virtually any flash strobe head with an H-prong sync connection or standard PC sync cord. NOS Westinghouse Flash Cubes MAGICUBES. It is NEW! There are a finite number of these available, and when they are gone -- they are gone! Condition: NEW. I have more in my cozy, comfortable, wonderful warehouse! 1450 mAh High Capacity battery. 20% more capacity than standard version. Rest of World make Supersized seem small. INCLUDES 5 FILTERS. We are an Authorized Nikon Dealer listed on Nikon USA's website. 60 CT-1 or 60 CT-2. RED/BLUE/YELLOW/GREEN AND CLEAR PLUS CASE. ORIGINAL BOX.